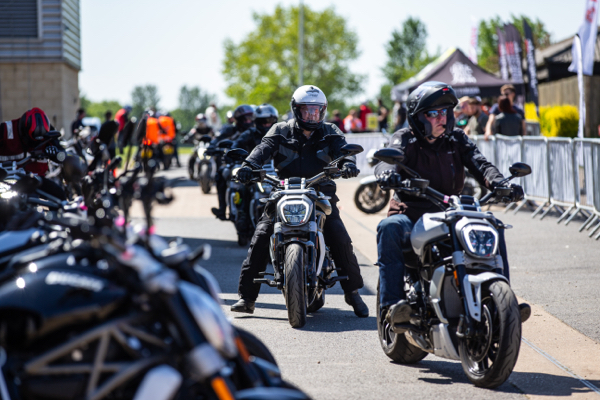 The festival attracts tens of thousands of motorbike enthusiasts from across the UK, and is famous for its test rides. The festival boasts the biggest test bike fleet in Europe, with hundreds of test ride slots available. Visitors can simply bring their helmet and licence to book test rides on the very latest motorcycles from all the leading manufacturers. “We are delighted to be able to announce that we now have a three year agreement in place to host the Devitt MCN Festival of Motorcycling for 2019, 2020 and 2021,” commented venue director, Jason Lunn. Many visitors will be camping on-site, in true festival style, and the event includes live music and late bar to complete the festival experience. With two months to go until the event opens, tickets, available here, are selling fast!